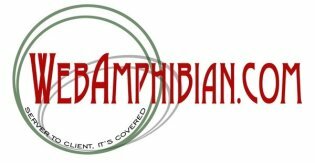 This white paper by WebAmphibian.Com explains why many 'mom and pop' shops need backups. After assisting a number of customers in setting up a backup system (hardware, software, phylosophy, and practice), the same questions kept coming up. What kind of backups are right for me? How often do I need to backup? This white paper attempts to cover the broad spectrum of backup needs with a mind towards both the cost and probablity that a given type of backups will actually occur once we leave the premisis.